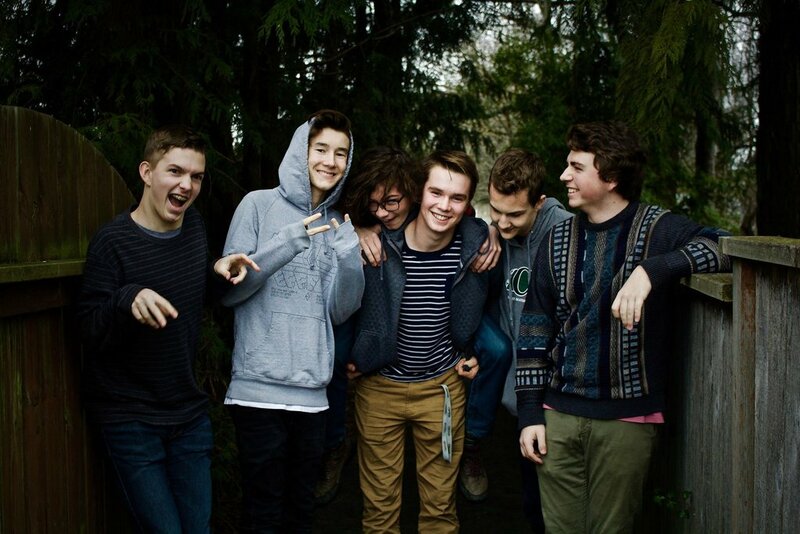 The Phatfunks are a group of 6 talented young musicians hailing from Victoria, Canada. Ranging in age from 15-18, the band attends local high schools, and the University of Victoria. They combine Old-school funk, R&B, and Jazz Fusion, with a rock-solid rhythm section laying the groundwork for powerful, tight horns, resulting in a groovy, infectious, and danceable sound, influenced by the likes of Maceo Parker, Parliament-Funkadelic, Snarky Puppy, and Lettuce. During the summer, the band performs as a trio or quartet, busking in downtown Victoria. Over 2 years, the band has gained popularity as a staple in the Victoria busking scene, becoming known for their energetic and entertaining shows. This July 24th, shake off those Monday blues and come get your funk on at Hermann's with The Phatfunks!